Working as a product manager has at least one interesting side effect: you become keenly aware of customer service in nearly every aspect of your day-to-day activities. At the end of the day, happy customers spread the word about your products and services and you get more happy customers. So when you go into a store you can’t help but gauge the level of customer support you receive. It’s a blessing and a curse. Last month my family had an experience that tested the level of customer service at several companies. More than six months ago we booked a trip to Orlando to have a long overdue family vacation. We had the flights, the hotels (yes, plural…I’ll come back to that) and six days of fun planned at Universal Studios and several other theme parks. The winter had drawn on and the weather in Orlando was looking great. Then, four days before we were going to leave, my son — who was at his first baseball practice of the season — was struck on the bridge of his nose with a baseball. A few hours and an X-ray later we learned that he had broken his nose in three places. The prognosis: surgery on Friday, the day before we were to fly to Orlando. Without holding too much expectation for positive results, I started calling the different companies through whom we had booked our trip. The first was the company who months earlier had called us and convinced us to take a “fully paid” 4-day, 3-night vacation in Orlando — Hilton Grand Vacations. After having already paid around a $100 to get a room big enough to hold my family, they wanted to stick me with a cancellation fee. After talking to people at several different levels they finally agreed to only charge me $20 to cancel. “But,” they said (with a smile I’m sure), “when you’re ready to rebook, just call us and we will get you back into the [third-tier] hotel and we will reschedule your appointment to sit through our painful presentation on why you should spend a lot of money and buy into our resort” (my emphasis added). Next I called the Marriott hotel. We had booked four nights with them and by the time I called them we were about two hours past the “no cancellation” deadline. When I explained the situation to the customer service agent, she immediately called another person who, without any questions beyond what was necessary to understand our situation, immediately approved the full refund of our points with no obligation to rebook with them. Two days later, all the points were back on my account. I then called Delta Airlines to cancel our flights. I spoke to a guy who said that if we could get a letter from our son’s doctor stating that he cannot fly because of his injury, they would refund our tickets. What surprised me even more was that they agreed to refund money when I had paid for the tickets with miles. He told me it would take about a month. I called them two weeks ago to see how things were progressing and found out the first guy I talked with had not sent request through to the refund department. The lady I spoke with was very kind and told me to fax the ticket numbers and a copy of the email I received confirming the refund and they would take care of it. About a week later I received an email from another customer care agent saying he regretted to inform me that Delta would not send me a refund as refunds for the type of tickets I had purchased are only offered in the case of “death or imminent death of an immediate family member.” However, for this one time, he said, Delta will give us a credit towards another flight. I called today and confirmed I can rebook an equal or lesser fare at no charge. Not bad. Finally, when my wife called Universal Studios to tell them about our change in plans, they were very accommodating. They asked her if we were planning to come later in the year; when she told them that was the plan they said we could use the tickets later with no fees. They reimbursed us for all the date-specific upgrades we had purchased. They have simply made me a happy customer. When I called today to rebook our trip, which hotel do you think I called? You guessed right: Marriott. The service agent took extra steps to make sure I was able to get the room I wanted. It was so easy! Seven nights at the Marriott; no third-rate Hilton and definitely no painful presentation. My experiences with these companies highlight the importance of having solid customer service. 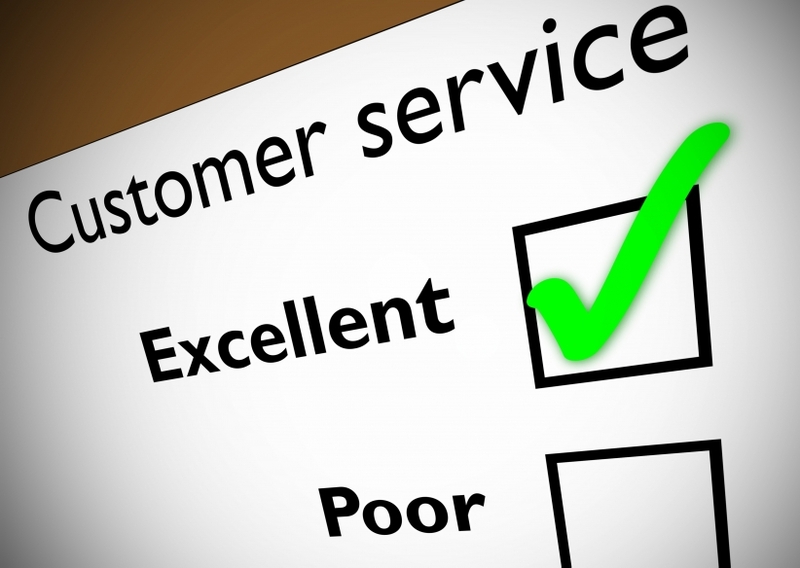 They illustrate the significance of showing leadership in improving customer service. I have highlighted specific examples of how companies treat their customers — for the whole world to read no less! And I’ve seen many other bloggers do the same. In today’s social media driven world, it’s more important than ever to treat your customers well and provide excellent service. If you do not, a negative message will get circulated and it will hurt your business. So no matter whether your customers are looking for four star hotels in Niagara Falls or a resort in Orlando, the experiences people have with the brand through various touch points such as advertising and most importantly the people working for the brand effects the perception and emotional feeling of your customers. The Product Management Perspective: Product managers have many customers, both internal and external. You can’t please them all; however, if you will be diligent in communicating openly and honestly with them you will find they trust you, and even though you may not put that key feature they need in the next version of your product, they will stick with you. It’s one of those intangibles in the business world that’s difficult to describe but easy to see. The more you genuinely strive to serve your customers, the more they will buy from you. Categories: Leadership, Product Management, Trust | Tags: Communication, customer service, Delta, Hilton, honesty, Marriott, social media, Universal Studios | Permalink.